Collects X-Men (1991) #50, Uncanny X-Men #333, X-Man #15-17 and Cable (1993) #32-33. 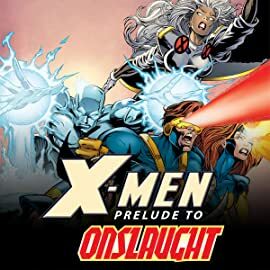 Onslaught unnerved the X-Men and their enemies even before he entered the game, leading killer mutants and mutant killers alike to start the fight for survival early! 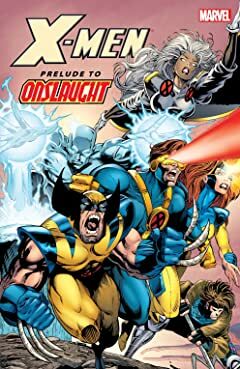 Already edgy from the Age of Apocalypse, good, evil and neutral wage war as the nemesis of the nineties rears his telepathic head! Guest-starring Cable, Domino and Nate Grey the X-Man!